Roda Golf & Beach Resort is a unique residential-tourist complex located near Mar Menor, in San Javier, Murcia, one of the regions with the best climate and quality of life in Spain. A leisure resort designed for living, Roda Golf and Beach Resort offers the opportunity of luxury living, in a secure, landscape, pedestrianised environment. Enjoy the Dave Thomas designed 18 hole par 72 golf course, where Sam Torrence is Captain of Golf. Relax at Roda´s private beach club on the Mar Menor, accessed by a water taxi. 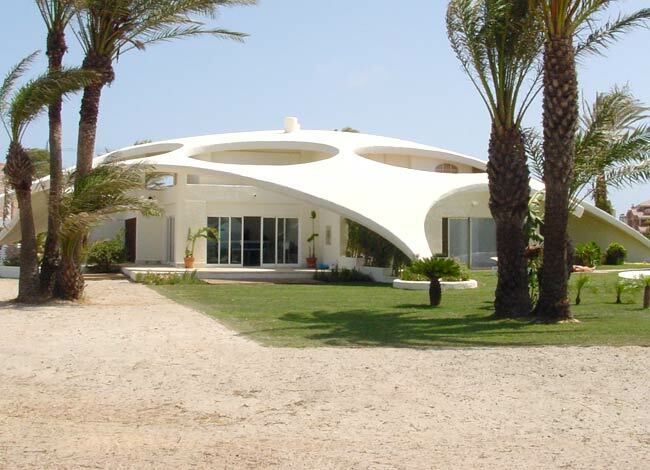 Roda Golf and Beach Resort is the perfect place for people who like the finer things in life. Apartments, semi-detached villas and detached villas of various sizes and design make up thisdevelopment where safety, 24hr security, quality and tranquillity are paramount. 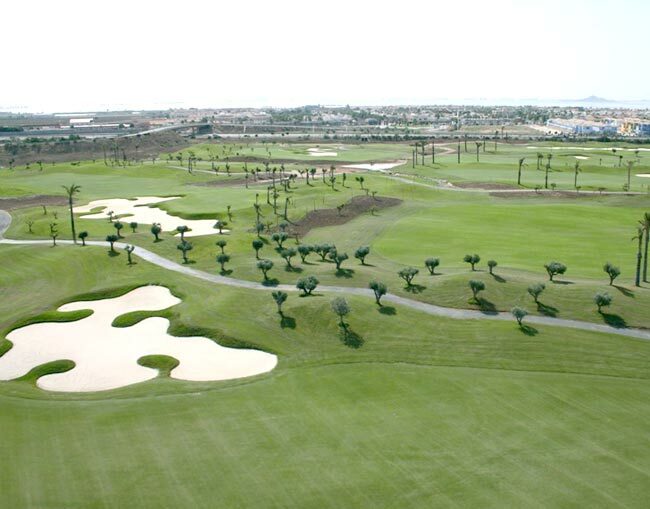 Roda Golf is set in a very pleasant landscape just 1.5km away from the shores of the Mar Menor. For those looking to explore the region, the tourist attractions, shops, bars and restaurants, Murcia City is only 10-15 minutes away. Roda Golf & Beach Resort is being developed by Calidona; the same people behind Corvera Golf & Country Club and with the shuttle bus running between the resorts and the beach, residents here can also enjoy the additional facilities and services found at Corvera. In addition to the golfing offer at Corvera, Roda Golf & Beach residents benefit from a Dave Thomas design 18 hole, par 72 course. Doubling as the perfect backdrop for your property the golf course will prove to be an enjoyable challenge for all levels, right down to the island green at the 7th hole. For additional leisure activities residents can make use of the tennis courts or swimming pools or pop down to the Beach Club where you will have access to a range of water sports on the shores of the Mar Menor. At 4,600m2, the Beach Club truly is a unique offer and addition to what is already a very luxurious resort and lifestyle. For alternative activities there is a commercial area with boutiques to visit and a state of the art spa at the hotel run by the De-Vere group. 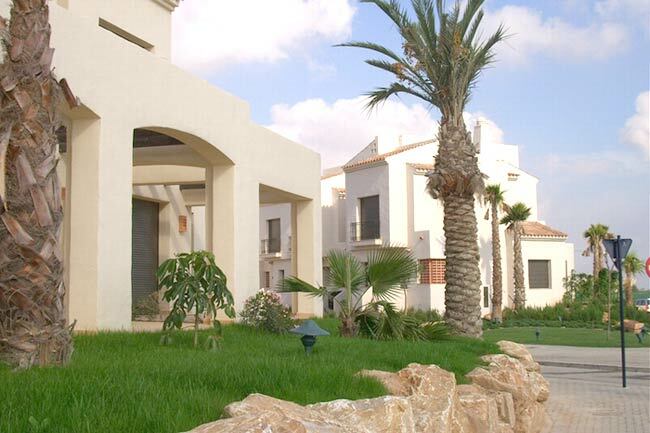 To complement the stunning properties available at Roda Golf & Beach Resort, communal areas have been landscaped and there are numerous enchanting walkways and beautiful open areas that have all been designed with your comfort and relaxation in mind. To add to this feeling there is 24 hour security and controlled access points around the resort. The 5 star Roda Golf & Beach Resort is managed by the De Vere Group, the same company that manages the Belfry in the UK. This luxury first class resort has been designed with security in mind, it is set within a barrier controlled complex with 24hr surveillance and security patrols. 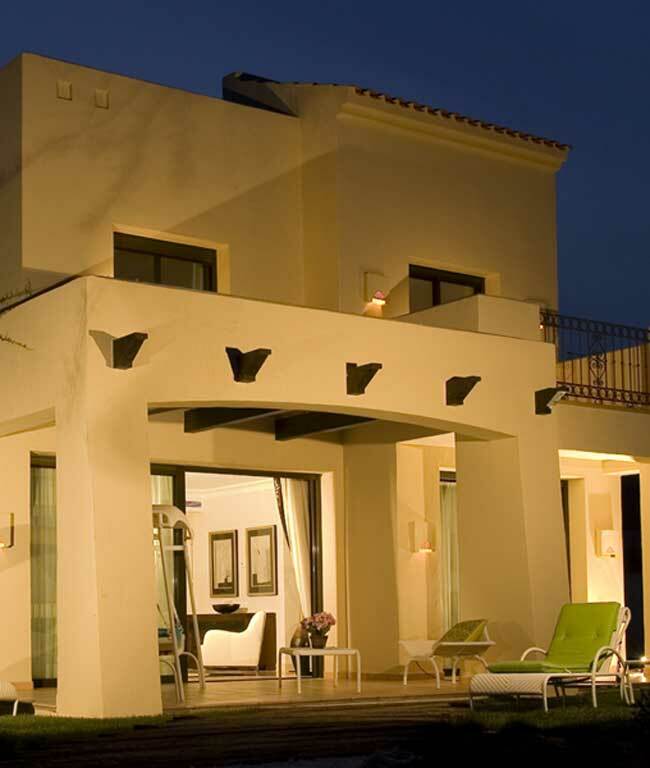 The golf course is edged with Andalucian style low level homes complemented by stunning scenery. The homes are built around the golf course with many pedestrian walkways that lead around the development and to the clubhouse to minimize the need to drive. The 18 hole Par 72 golf course has been designed by Dave Thomas one of Europe's most sought after course architects. The design incorporates three lakes that have been strategically located with special emphasis placed upon the landscaping and the planting of trees that complement the character and vegetation of the Mediterranean climate. 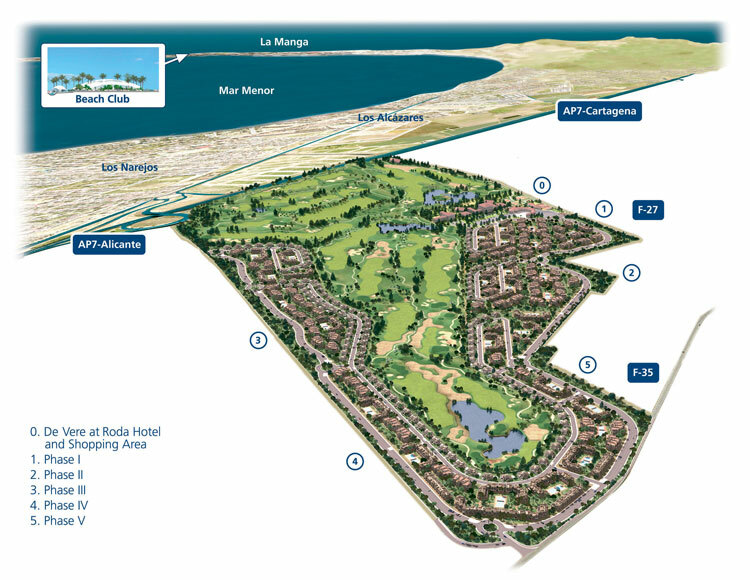 Golfers will find Roda Golf & Beach Resort the perfect spot to put their skills into practice. With all the convenience of being able to enjoy this magnificent sport any time you wish, just a few steps from the apartment.Please note that owners and their guests receive discounted Green Fees. Roda Golf & Beach Resort is structurally arranged in concentric rings around the golf course, moving from a public exterior towards an interior that is peaceful and private. In this way, noise, movement and vehicles are kept away from the development itself. As you can see in the Master Plan, the residential area turns its back on the world of automobiles, to look towards the common pedestrian areas, gardens, swimming pools and golf course. From the exterior ring you will be able to reach your parking space and from there go directly to your home, which looks out onto the golf course that meets your own garden at a visible but subtle boundary. The inner ring is a pedestrian walkway that goes through all the developments, connecting them and leading the club house, the true heart of Roda Golf & Beach Resort. An area with a natural landscape, relaxed and leisurely, from which you can reach the different recreational zones without the need of walking far. Distribution at Roda Golf & Beach Resort has been designed with nature and the sun in mind. Thus interconnected communities with a controlled environment and access to the green walk have been formed. Everything has been done so that residents can leave their worries behind and live in harmony and in a totally peaceful atmosphere. Since the beginning of sales at Roda Golf & Beach Resort, Calidona have promised the highest standards experienced in a project of this type anywhere in Spain. Continually, Calidona have set high standards, met them, exceeded them and raised the bench mark. Yet again this is the case, with the signing of the prestigious agreement between Calidona and the De Vere Hotel Group, synonymous for exceptional standards of both Golf and Hotel Management. De Vere at Roda, managed by Mike Malony, famous for his years spent as manager of the flag ship De Vere Befry, is the first project outside of the UK for the famous group, adding to the importance of the relationship between Calidona and the De Vere partnership. De Vere Chief Executive, Carl Leaver is quoted in saying "This is an excellent deal". 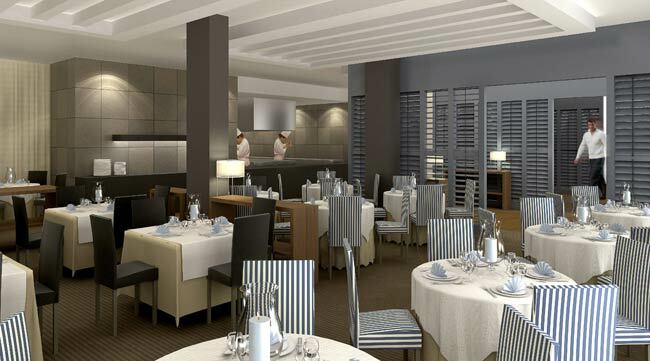 Under the terms of the agreement, De Vere will be responsible for the management of the 150 bedroom hotel, golf course, which is designed by Dave Thomas and captained by Sam Torrence and the unique beach club located on the La Manga strip. Lord Daresbury, Chairman of the De Vere Group, who came to San Javier to sign the agreement, commented "This is the first for the group, and as such represents a special occasion: our first managed hotel outside the British Isles. I feel confident that our hotel expertise, together with Calidona´s knowledge of the sector, will combine to create an exceptional hotel in this unique resort. Next to the Mediterranean Sea and only 1.5 Km from the unique natural setting of quiet, shallow waters that is The Mar Menor, Roda Golf & Beach Resort opens its doors in a region with more than 253 Km of Mediterranean beach. Translated, Costa Calida means 'warm coast', and with around 300 days of sunshine per year and an average annual temperature of 21 ºC it more than lives up to it's name. The ideal spot to enjoy an exclusive paradise with all the cultural and biological richness of the region of Murcia, it is also one of the most important spots in the world for sports lovers, offering water sports, with an endless range of activities including swimming, sailing or water skiing, as well as activities such as tennis, trekking or golf. At Roda Golf & Beach Resort there is a quest for good taste in the elements that go to make up the complex, and for a harmony with the matchless Mediterranean landscape. Thus each of the homes, in elegant, subtle colours, has been integrated perfectly into the tone of the Mediterranean. A selection of recreational facilities to meet all the residents' needs is on offer at the Roda Golf & Beach Resort. Examples are the luxury hotel and spa, leisure areas that include shops and restaurants, swimming pools, playgrounds and sports (golf, tennis, paddle tennis). In addition, a series of supplementary services are available including house keeping, property management, maintenance when owner is away, gardening, a repair service and catering with home delivery. In short, a team of professionals provide a complete service for the comfort of the residents. In the surrounding area, shopping is well catered for. There are over 2,500 shops in the local town of Torrevieja selling fashion, perfume, shoes, and typical Spanish goods. On the outskirts of Torrevieja, there are a number of high quality furniture shops offering designs to suit all tastes for your new home. Throughout the Costa Blanca and Costa Calida region there are also many smaller shops and commercial centres selling high quality goods and famous brand names. The people on the Costa Blanca and Costa Calida are famed for their friendliness. The local Spaniards are easy to get along with, they enjoy life and everyone is very family-orientated. Spanish residents happily integrate with people moving into the region from other countries as they recognize that this has added greatly to the region's financial growth and prosperity. To work in Spain without a permit, you will need to obtain a NIF number (Fiscal Identification Number). For this, you have to visit a local police station with a valid passport. People working in Spain generally work under the same conditions as in England. To find work, you should look in the national and local press or on the Internet, where many skilled and unskilled positions can be found. There are also a number of employment agencies or recruitment centres that will be glad to assist you in your search. Spanish government regulations indicate that people who live for more than 183 days in Spain need to obtain an official residency. This can be obtained from the local police station. It is necessary for non-residents to get an official residency once they enter the Spanish tax system so that they can account for such things as owning a property or interest receipts from their bank deposits. Pets can be taken to Spain, but it is necessary to obtain a health certificate, a certificate for vaccination against rabies, and a certificate that confirms that the animal has been kept in an area free from animal diseases. These should be obtained from your local vet in the UK at least two weeks before you depart, and need to be approved by the Spanish consulate before your pet travels.